The rapid expansion of digital mapping technologies -- handheld GPS units, location-aware smartphones, Google Earth -- has created powerful opportunities for individuals to work with location data on their own. QC Trails allows users to download the trail and point of interest data that appear on each trail page. This information can be saved in two formats: GPX and KML. GPX files ("GPS eXchange") are commonly used to transfer information to and from GPS units. Some smartphone apps also work with GPX data. Point data from QC Trails gets stored as waypoints on a GPS unit; line data is read in and stored as tracks. KML files ("Keyhole Markup Language") are best known for their compatibility with Google Earth. They can also be opened by a growing number of other programs and apps. 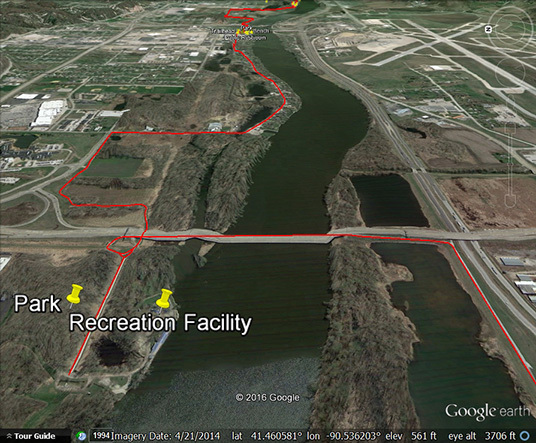 Google Earth is a freely available mapping program that can open and display QC Trails data on top of aerial imagery (and numerous other data sets) for the Quad Cities region in both 2-D and 3-D! Clicking on a point or line feature in Google Earth will also tell you more about that point of interest or section of trail. Remember, when you download GPX and KML files from QC Trails, that information is current at the time of download. 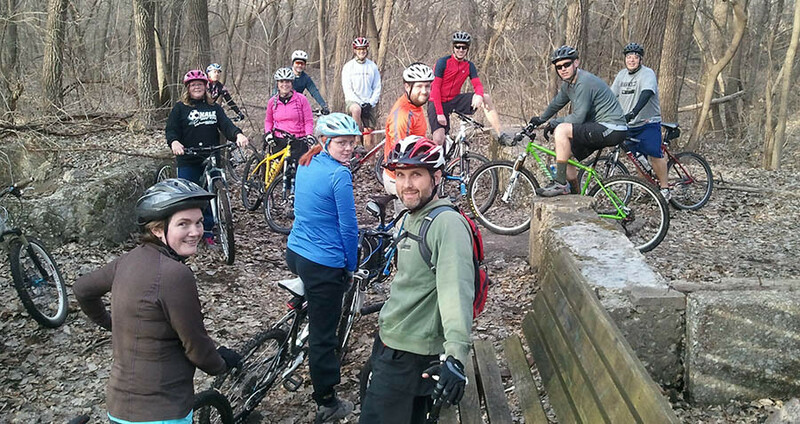 QC Trails is a dynamic website, and trail information is edited by administrators and trail managers. Check back periodically to keep your own files current. Plowed paths may be icy, especially in shaded areas. Consider slipping on a simple traction device over your shoes for extra grip.